The Frances Willard House Museum & Archives has an extensive collection of books, articles, reference material, and other educational media on topics of all kinds. 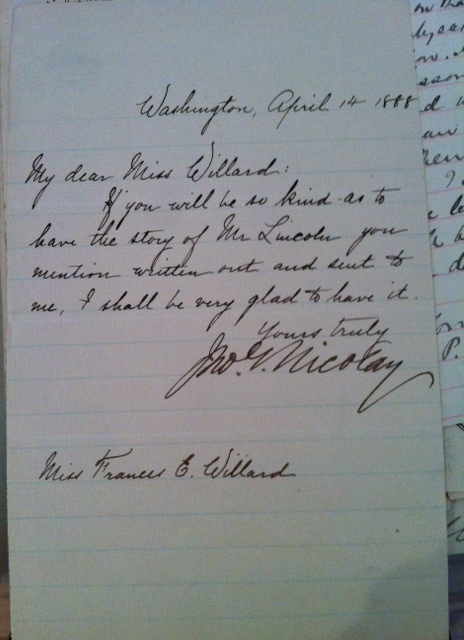 I’ve looked through hundreds of books and boxes in the WCTU archives, which hold some material as old as Willard herself. Among these titles are subjects you’d expect: medical treatises, temperance sermons and literature. But I also found things you wouldn’t expect, like the back catalog of The Brewers Journal and anti-temperance literature. One of these “opposition” titles popped out in my recent archival digging. A Prohibition Primer, published in 1931 by an anonymous author and a “liberty-loving Publisher”, is a short but sharp tongue-in-cheek rejoinder to Prohibition and the temperance movement. How seriously the WCTU worried about their public reputation is hard to say. The book was published not long before the 21st Amendment repealed Prohibition, so the movement’s influence was already waning. Regardless, call it opposition research or just plain savviness; the WCTU knew it was important not just to Do Everything, but to Know Everything, especially their rhetorical enemies. Working at a museum archives dedicated to the temperance and prohibition movements means I see books, pamphlets, posters, and other promotional/educational material like this all the time. I could put together an entire exhibit of temperance titles that are a) trying to be funny and hip in the youth pastor kind of way, or b) actually funny like this one. 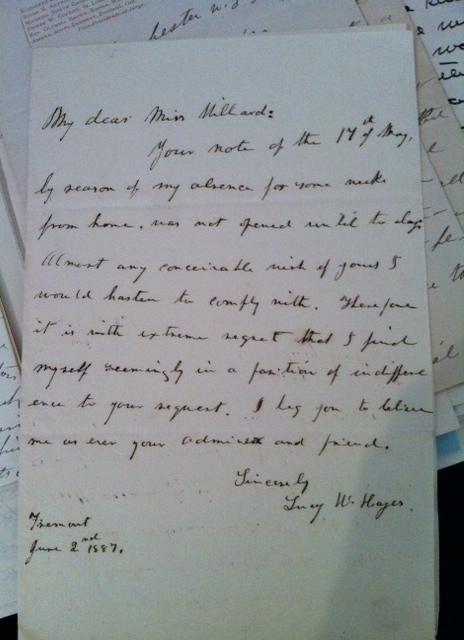 In my continuing work at the Frances Willard House Museum and Archives, I’ve started working with the Willard correspondence, which begins in the mid-1860s and continues through the turn of the century. Because of this, and because of Frances’ high stature as a public figure during that time, there are a few letters I’ve happened upon from some well-known people that gave me that special feeling historians, archivists, and other history lovers feel when they encounter a gem from the past. Today I came upon letters from another central women’s suffrage figure (Susan B. Anthony), three former First Ladies (Frances Cleveland, Lucy Hayes, and Sarah Polk), Lincoln’s secretary John Nicolay, and a famous author (Louisa May Alcott). And I haven’t even entered the 1890s yet. I’ve recently started volunteering at the Frances Willard House Museum, specifically in the archives/library, which holds material from and related to the life of Frances Willard, the suffragist and temperance advocate who led the Woman’s Christian Temperance Union (WCTU) in the late nineteenth century. I got to see the museum’s recent exhibit, titled “Rights or Responsibilities? The WCTU and Woman Suffrage in Illinois”, which documents the development of the women’s suffrage movement in Illinois and the many players involved. Willard did say so. She made saying so her life, which ended in 1898, before the women’s suffrage movement hit its crescendo but not before she had made an indelible impact on it. In addition to the Frances Willard House becoming a National Historic Landmark, she was posthumously honored as the first woman to be represented in Statuary Hall at the U.S. Capitol. Amazing what you can learn from museums (and archives and libraries), huh?